When she was brought thither and laid before the image of our Lady, her face was wonderfully disfigured, her tongue hanging out and her eyes being in a manner plucked out and laid upon her cheeks: and so, greatly disordered. Then there was a voice heard speaking within her belly, as it had been in a tun, her lips not greatly moving; she all that while continuing by the space of three hours in a trance. The which voice, when it told anything of the joys of heaven, it spake so sweetly and heavenly that every man was ravished with the hearing thereof. And contrary, when it told anything of hell, it spake so horribly and terribly that it put the hearers in a great fear. It was not a morning to be outdoors, with high winds and dense rain lashing Kent as I drove south on my way to a birthday lunch. But the hamlet of Court-at-Street is only a short detour off the M20, and, as with crimes, so with visits to ruined chapels: I had means, motive, and opportunity, despite the weather. The chapel I wanted to see is associated with Elizabeth Barton, the ‘Holy Maid of Kent’, a sixteenth century nun and visionary, born in the village of Aldington, a couple of miles away from Court-at-Street itself. Though Barton’s early life is obscure and her birth date unknown, she gained a degree of local fame in 1525, aged nineteen, when she fell ill with a mysterious affliction that prevented her from eating and drinking. This illness persisted but amid the seizures and delirium, she began experiencing religious visions. As word of her extraordinary gifts spread, an ecclesiastical commission was dispatched from Canterbury on the Archbishop’s orders. The members included Edward Bocking, a Benedictine monk who would become Elizabeth’s mentor. The commission vouched for the orthodoxy of Barton’s pronouncements and the veracity of her condition. After many months in this visionary state Elizabeth announced that she would be cured of her illness at the chapel of Our Lady at Court-at-Street and that once this was accomplished it was God’s will that she should become a nun. There are no surviving eyewitness accounts of what happened at the chapel that day. The letter by Cranmer quoted above was written eight years after the event and drew on other sources. But according to most accounts Barton was borne to Court-at-Street during Lent 1526, accompanied by hundreds, perhaps thousands, of people from the parish. She was laid in the chapel, where more convulsions, visions, and revelations followed, and then, miraculously, she was cured. True to God’s wish and her own, Barton became a nun at the Benedictine priory of St Sepulchre in Canterbury. The visions continued, and began to take a prophetic turn. Bocking, by now her spiritual advisor, taught her about St Bridget of Sweden and St Catherine of Siena, and no doubt these tales influenced her view of herself and her mission. She attracted the interest of some of the most influential figures in the kingdom – including Wolsey, Cromwell, Cranmer and More – and through these men gained access to the King himself. It seems that Henry VIII was impressed at first with Barton, but as the 1530s progressed and Henry’s dispute with Rome grew more bitter, Barton chose the Pope and orthodoxy. Speaking against the annulment of Henry’s marriage to Katherine of Aragon, she foretold wars, plagues and threatened Henry and his advisors with divine punishment. Court-at-Street has one road running through it. I parked on a verge and waited, pessimistically, for the rain to reduce in intensity. After ten minutes of that, persuading myself that it wasn’t as bad as it looked, I set out to find the ruined chapel. I followed a track by the side of Manor Farm, passed through the only gate that wasn’t blazoned with a ‘Private Property’ sign, and then walked through a small field decorated with defunct but intriguing farm machinery. At the top of a small steep ridge I could see the chapel, guarded by sheep. The easy way down would have been through the farm but there was another warning sign and besides, I did not want to risk an encounter with a hostile farmer or an even more hostile dog. As I stood there looking for a way down, the rain abated. I took that as a sign. The path was steep and slippery and half-way down I lost my balance, fell on my arse, and bruised my hand on some tree roots. The sheep regarded me with something like pity and cleared a way for me. Barton was hugely influential within the English Church of her time and maintained the support of eminences like Thomas More almost to the end, but in 1533 she was arrested and imprisoned in the Tower. Under interrogation she admitted treason and heresy, though managed to get a message out to her supporters that this was a tactical recantation, dictated by God. That same year she was made to do public penance, along with Bocking and some of her supporters, at Paul’s Cross in London. But this was not enough for Henry and Cromwell. Barton remained a dangerous woman. The following year Barton, Bocking and others were indicted for high treason. By this time Barton’s confession and recantation had disillusioned many of her followers and in these febrile times the English Church rushed to distance itself from her. In April 1534, just nine years after she had been stricken with illness and first blessed with visions, Barton was hanged and beheaded at Tyburn. She had become a symbol of resistance to Henry’s policies and could not be allowed to live. Historians differ on the extent to which Barton was a leader or a tool in the opposition to Henry and Cromwell, but there is no doubting the strength of her influence and her desire to save England from what she saw as a disastrous schism with the Catholic Church. 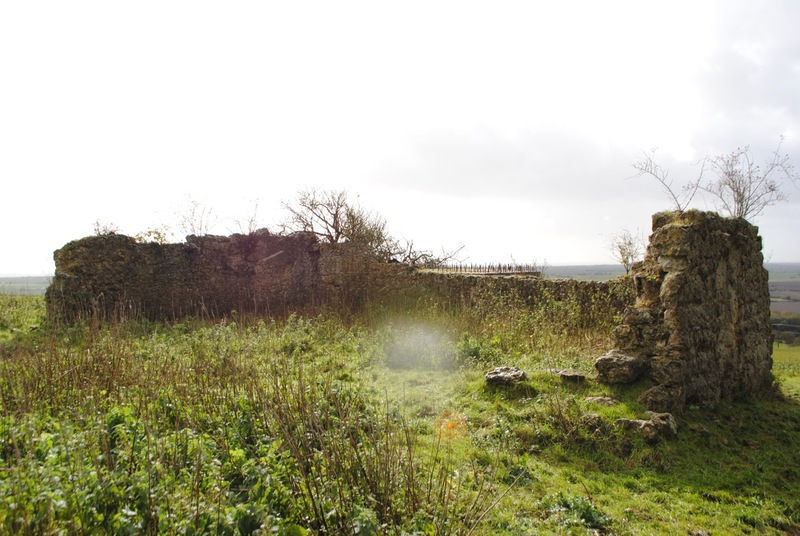 What remains of the chapel at Court-at-Street (named Bellirica Chapel according to the Historic England record) is three incomplete walls and a trace of the west doorway. I was struck by how small it is, how small it would have been, and by how few of those Kentish people who accompanied Elizabeth on that day in 1526 would have been able to get inside. Did they gather round the building singing and chanting prayers, waiting for the miracle? Was it a solemn occasion or a joyous one, or even a bit of a lark at times? By the south wall the military authorities though fit to build a pillbox during the Second World War, a reminder of how recent is our desire to preserve, in as pristine a form as possible, the material past. 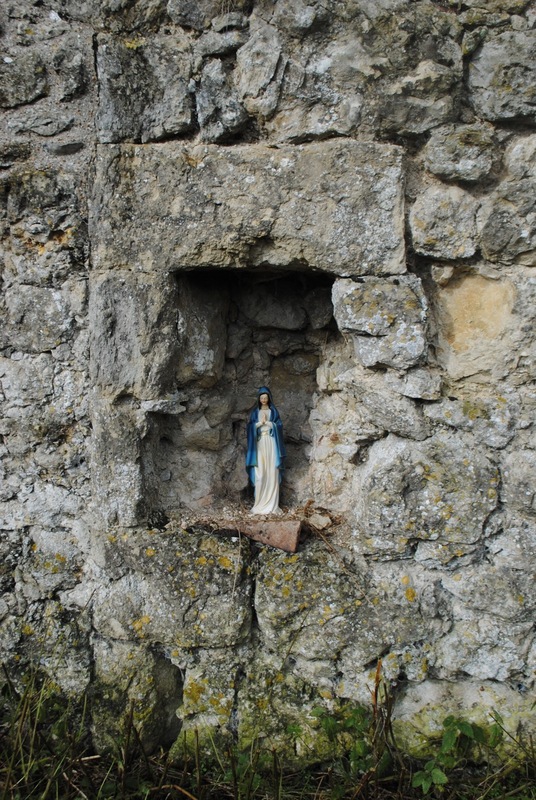 In the holy water stoup someone has placed a statue of the Virgin. 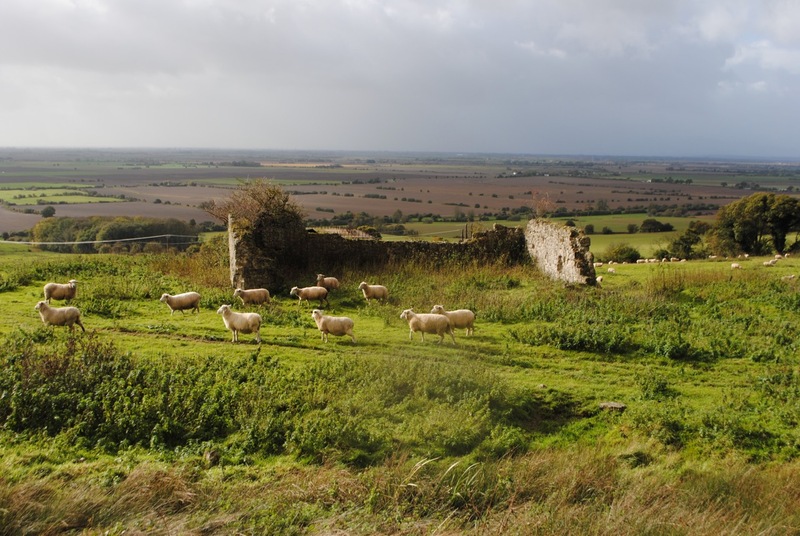 From the chapel there is a clear view across Romney Marsh to the sea, and the site retains a sense of sacred isolation. Elizabeth’s mission began here; its end, at the Tyburn gallows, feels far, far away. The illiterate teenager from an obscure Kentish village grew to be a renowned and righteous woman whose faith threatened a king. What a long journey it was for Elizabeth, and what an extraordinary one.